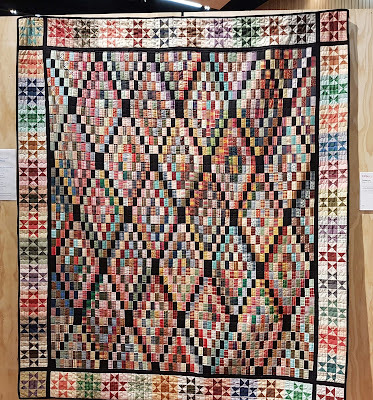 My friends Sandra and Lesley accompanied me to Carterton yesterday to view the Wairarapa Quilting Guild's exhibition. 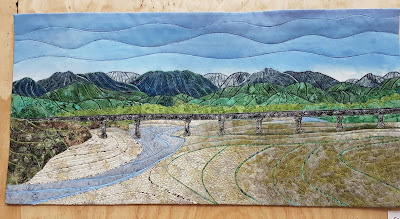 For all my overseas readers, The Wairarapa is located on the south-eastern corner of the North Island of New Zealand. http://www.wairarapanz.com/. 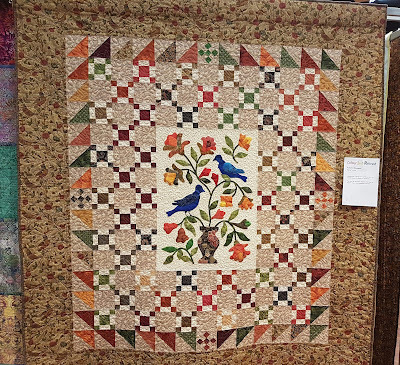 It is made up of small country townships of which some are only 10 minutes drive apart. Its a region of horticulture, animal farming and vineyards. 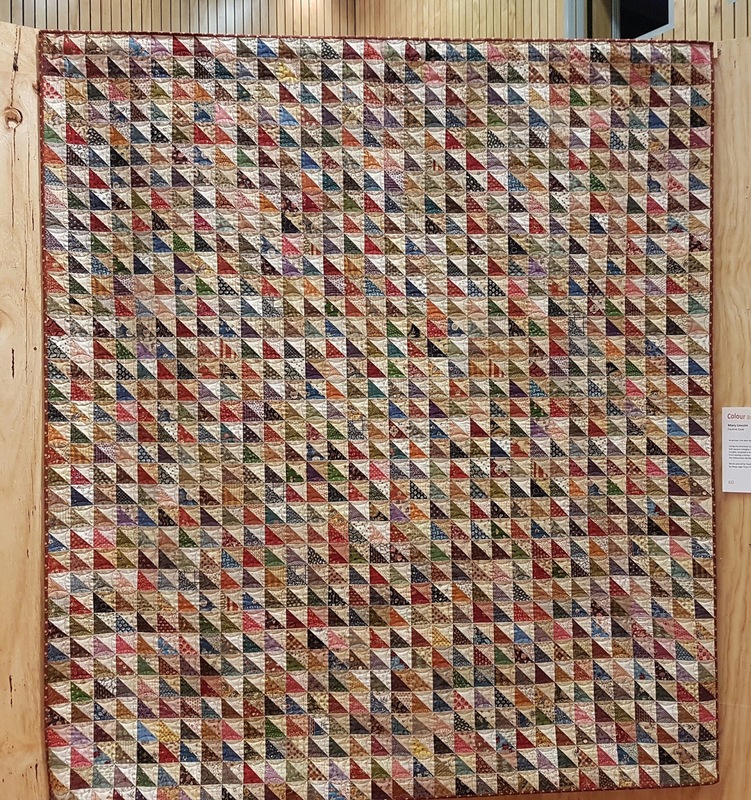 Its a beautiful place with only a two hour drive to the East Coast beaches - great for fishing. 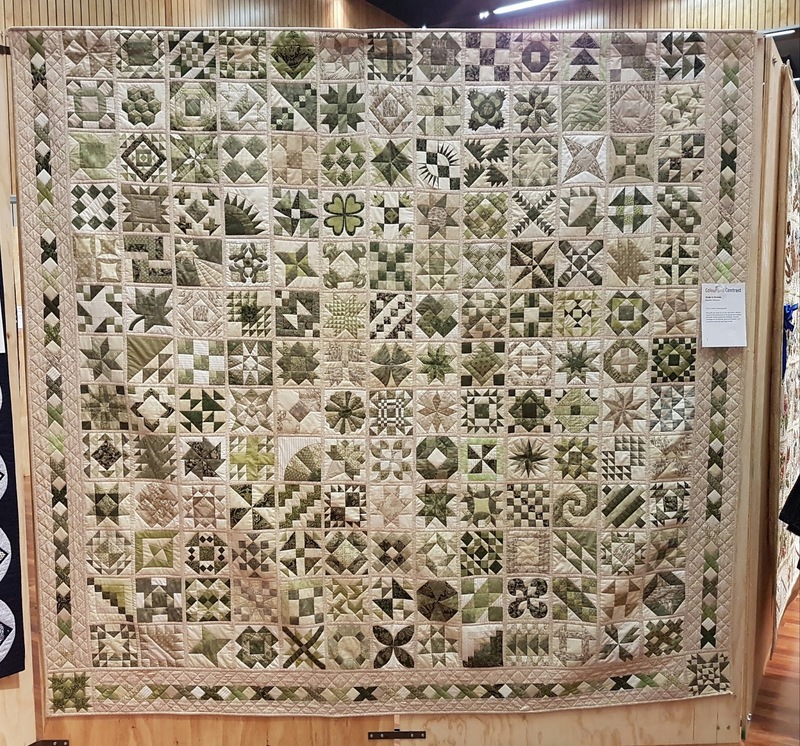 Because of this life style, a lot of people (and quilters) have retired to this region from the Wellington (our capital city) area. 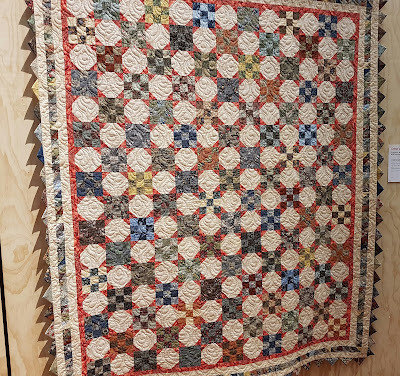 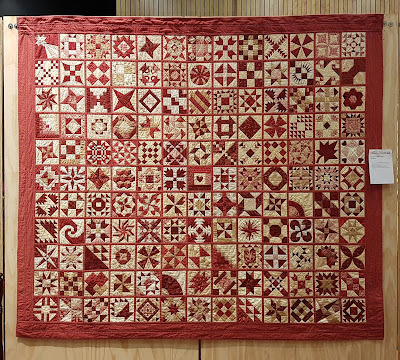 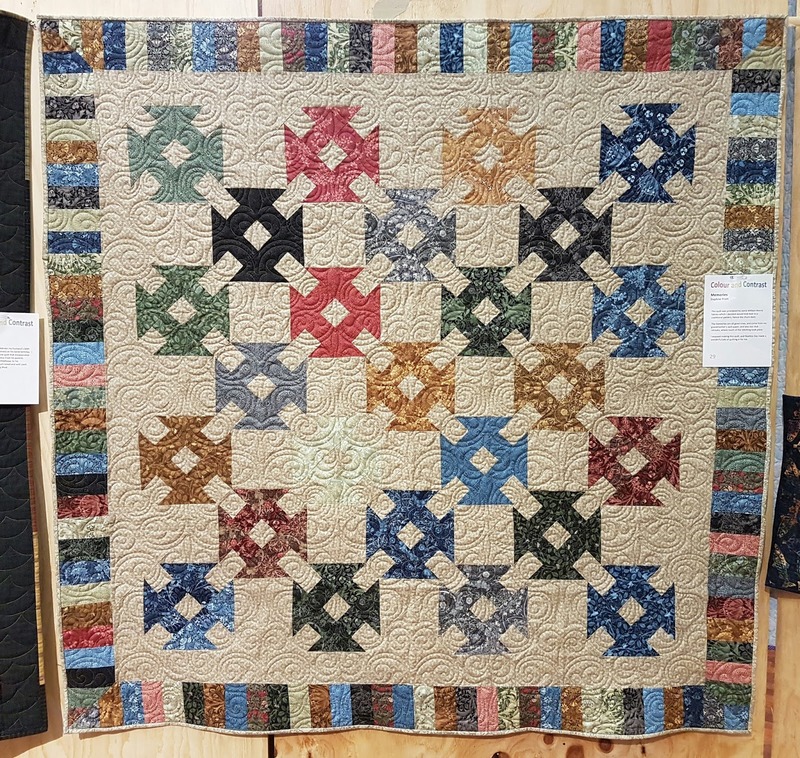 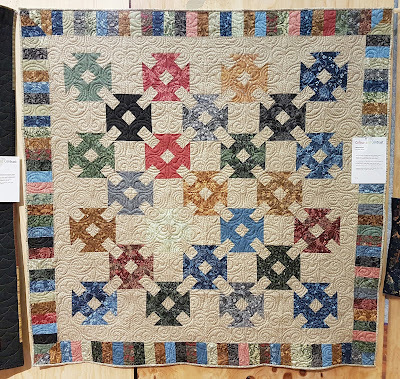 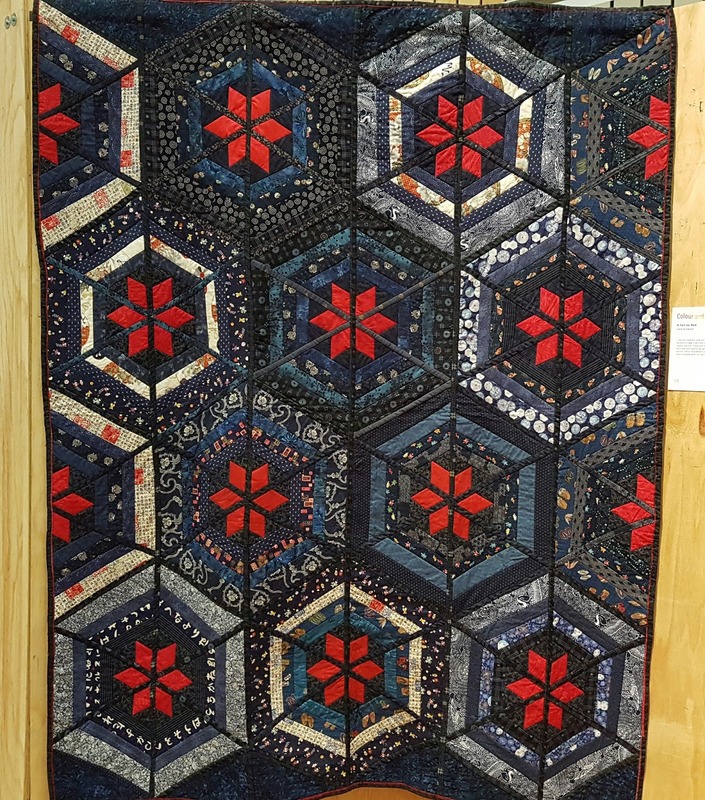 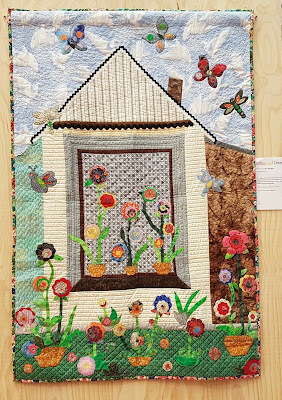 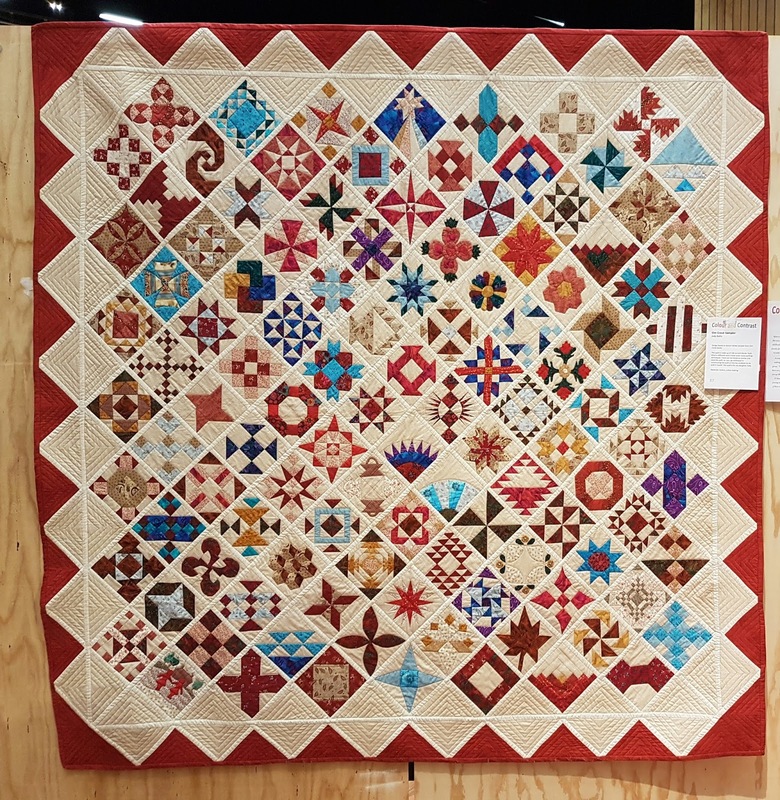 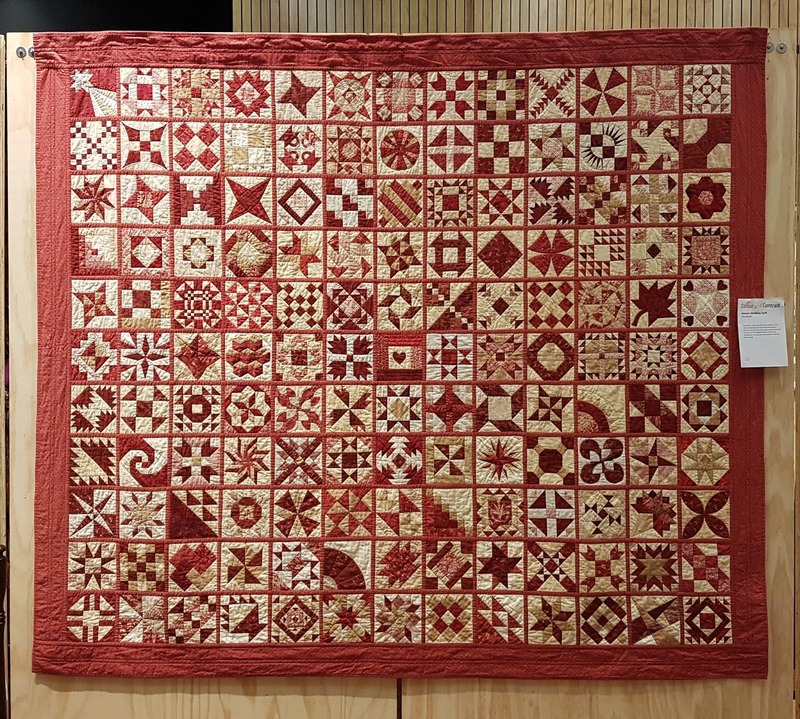 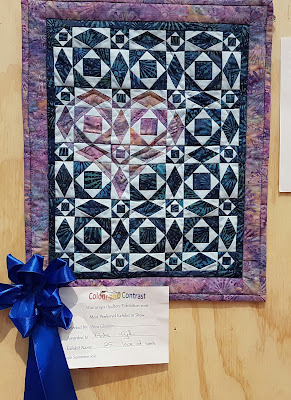 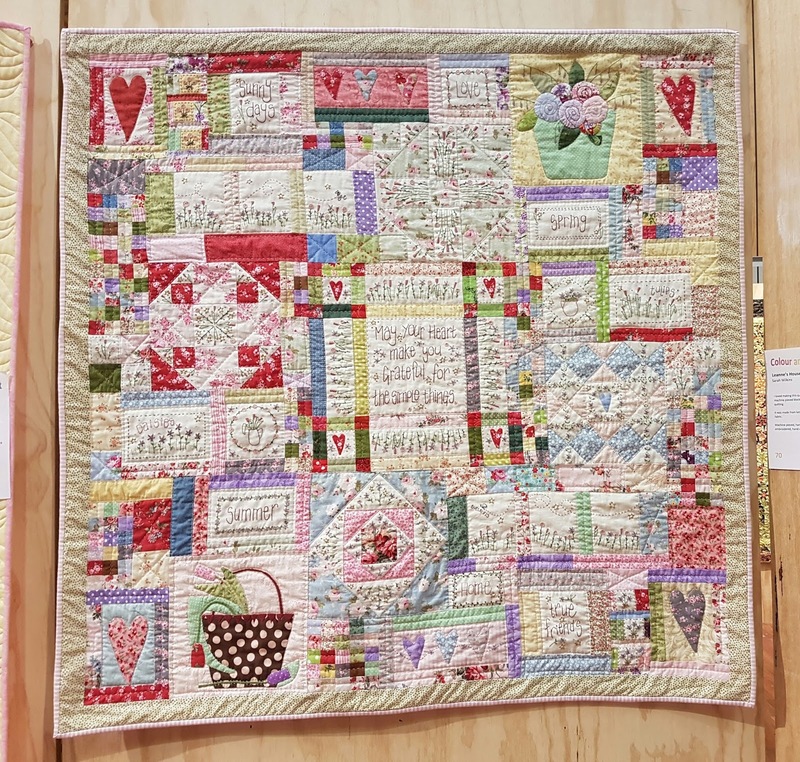 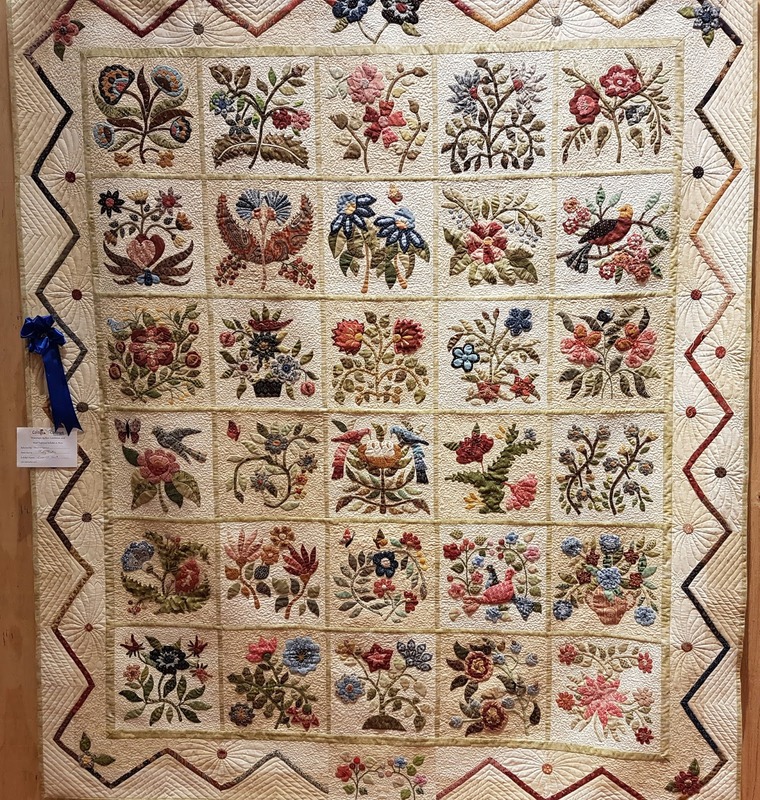 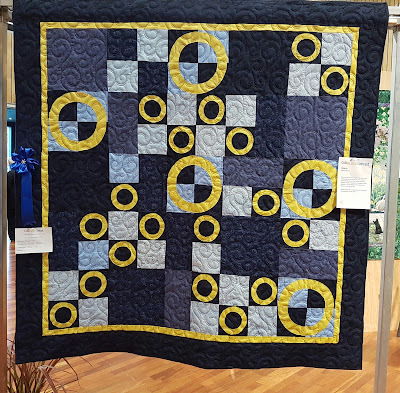 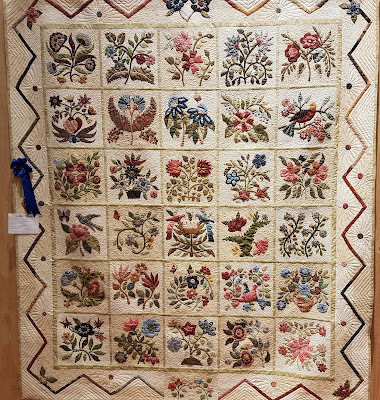 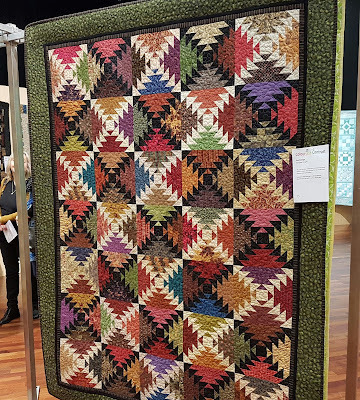 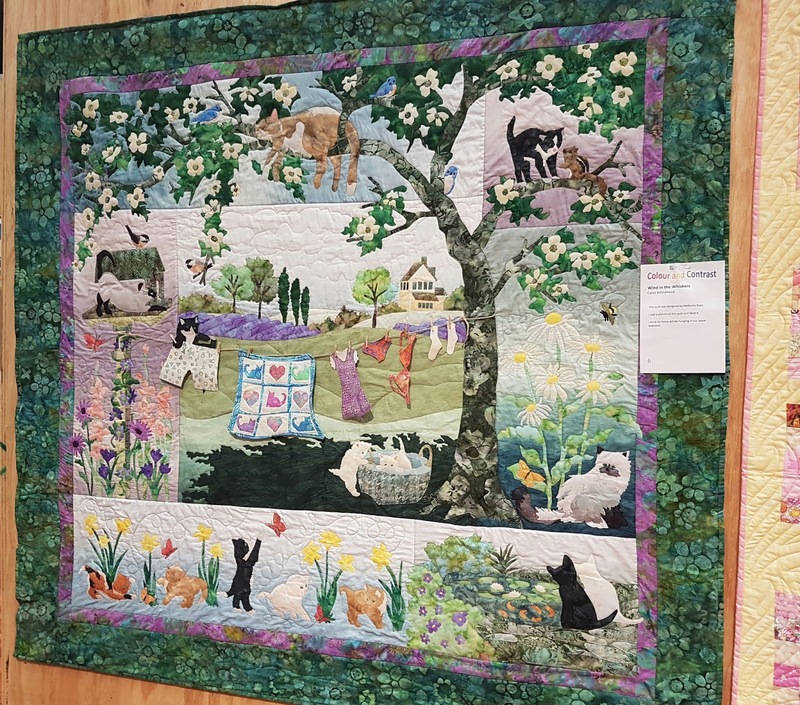 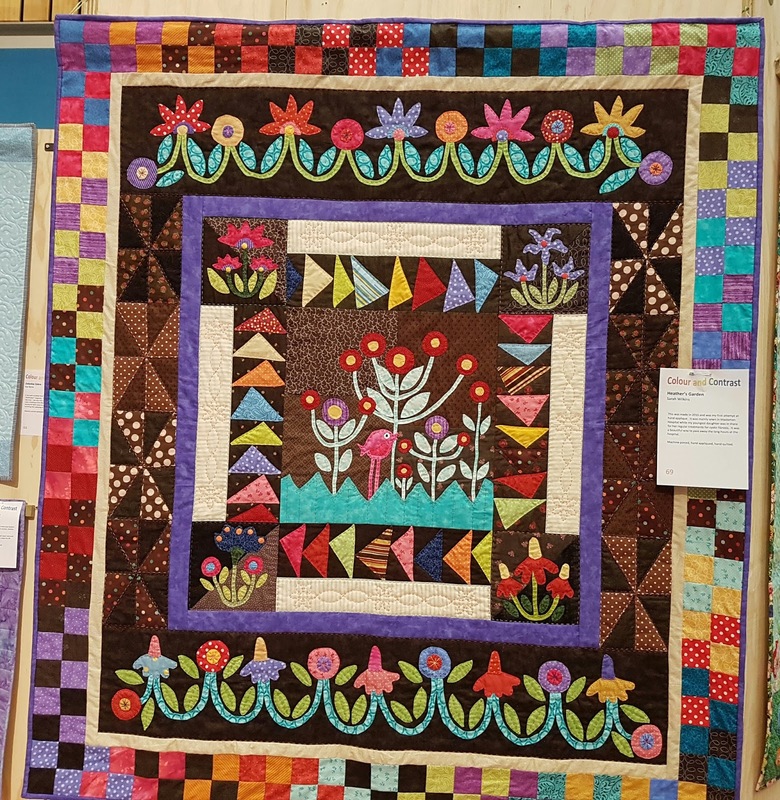 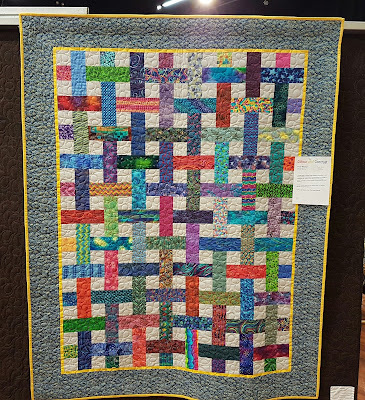 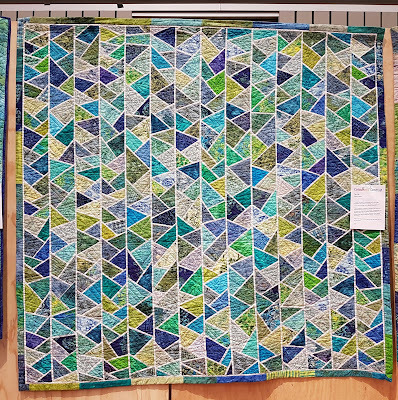 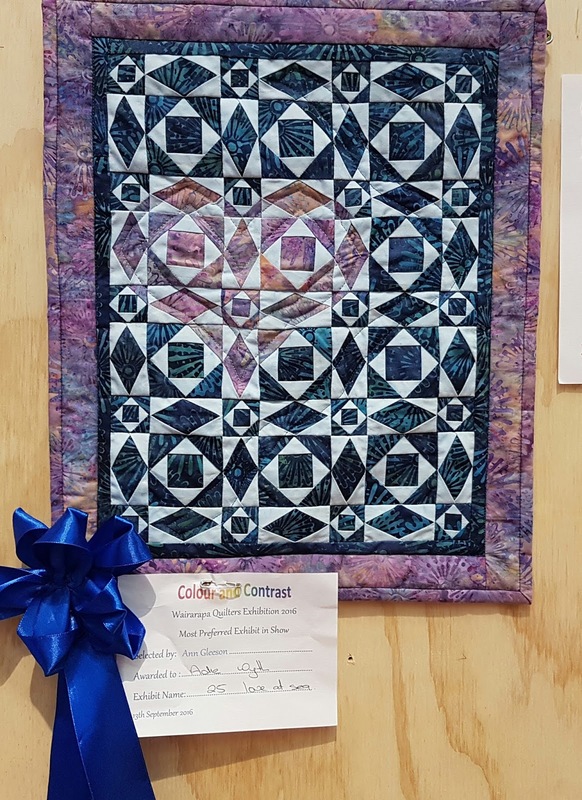 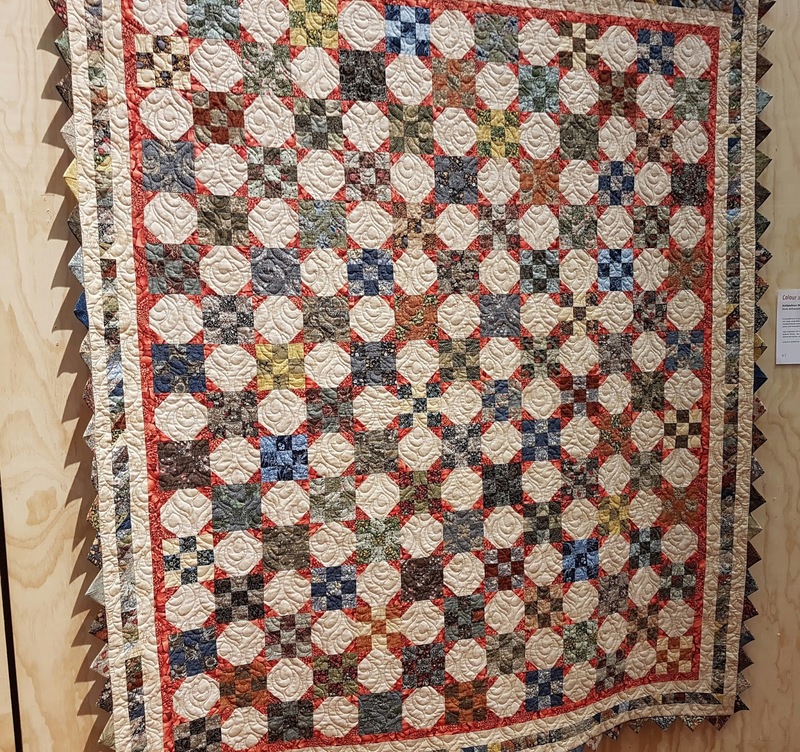 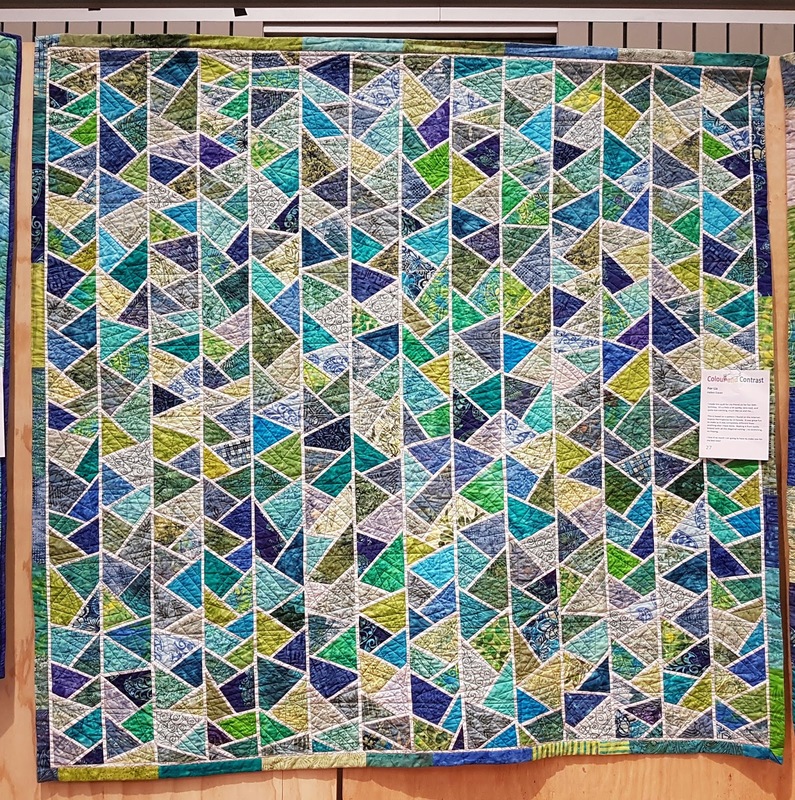 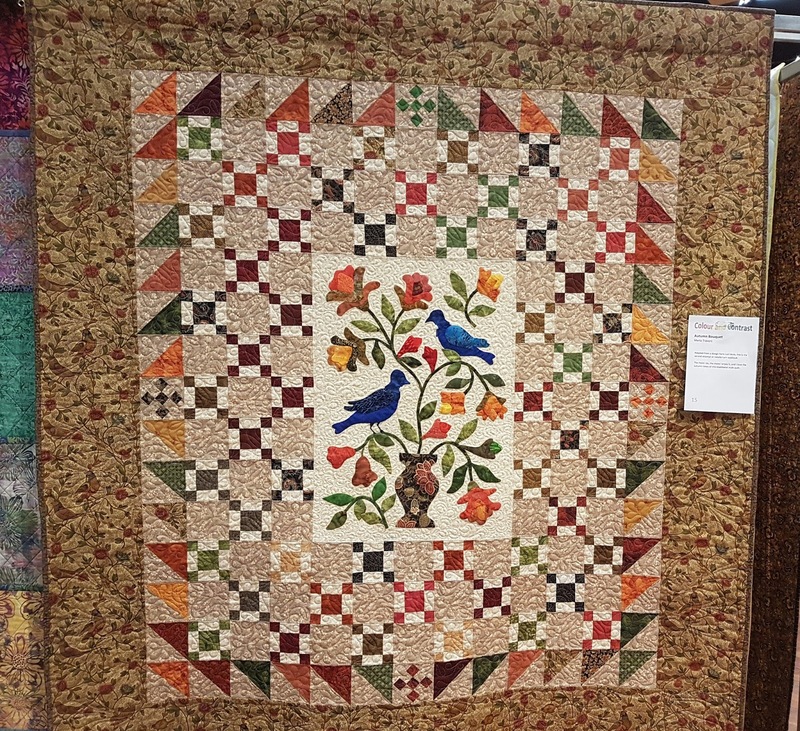 This exhibition was held in the Carterton Event Centre and we had a great time catching up with "retired" quilters who have moved to this area. 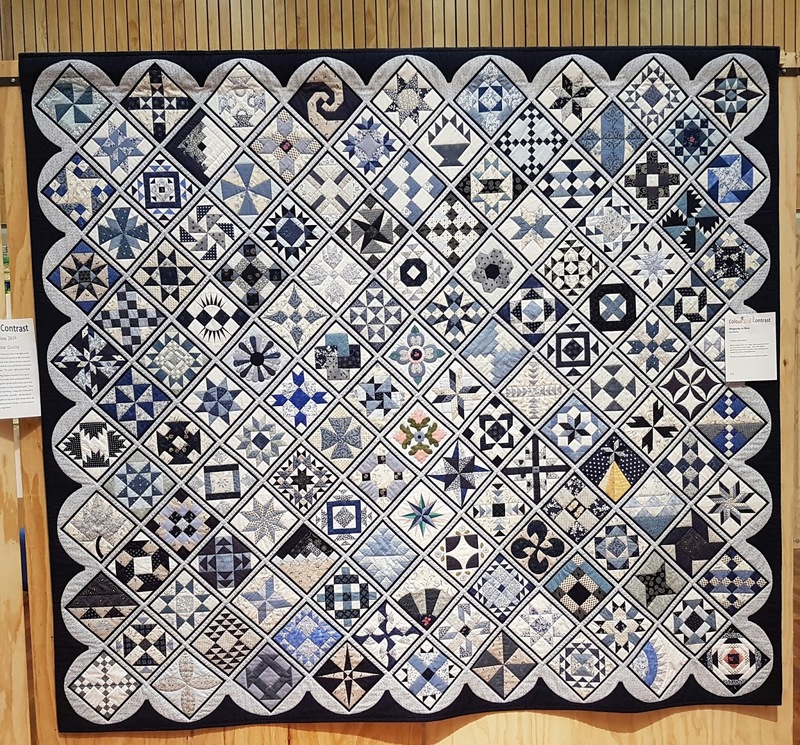 I have taken a mixture of photographs of 27 so there should be something inspiring for different quilting tastes. 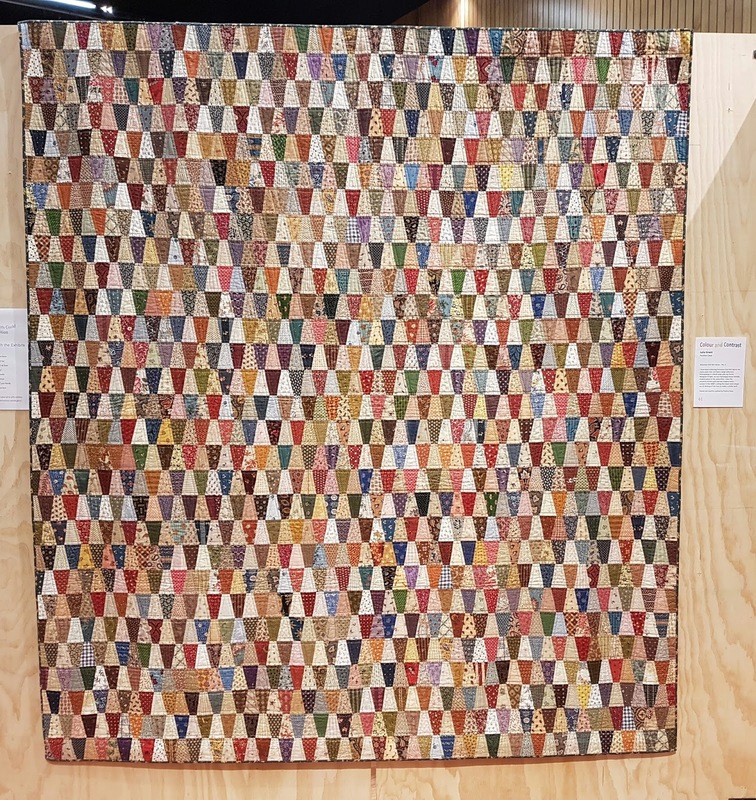 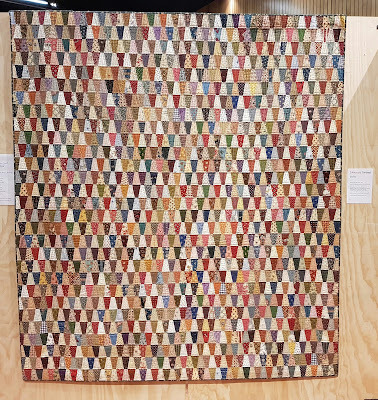 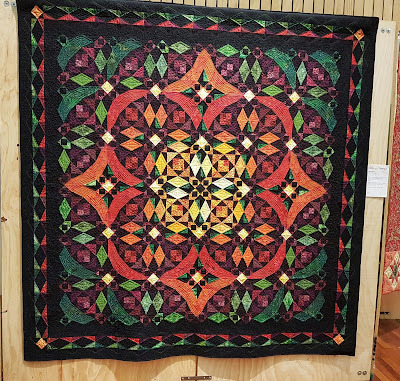 There were 94 quilts exhibited. 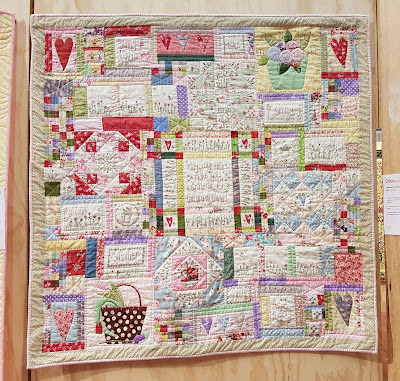 A group of quilters each made their own version of "Sylvia's Bridal Sampler Quilt". 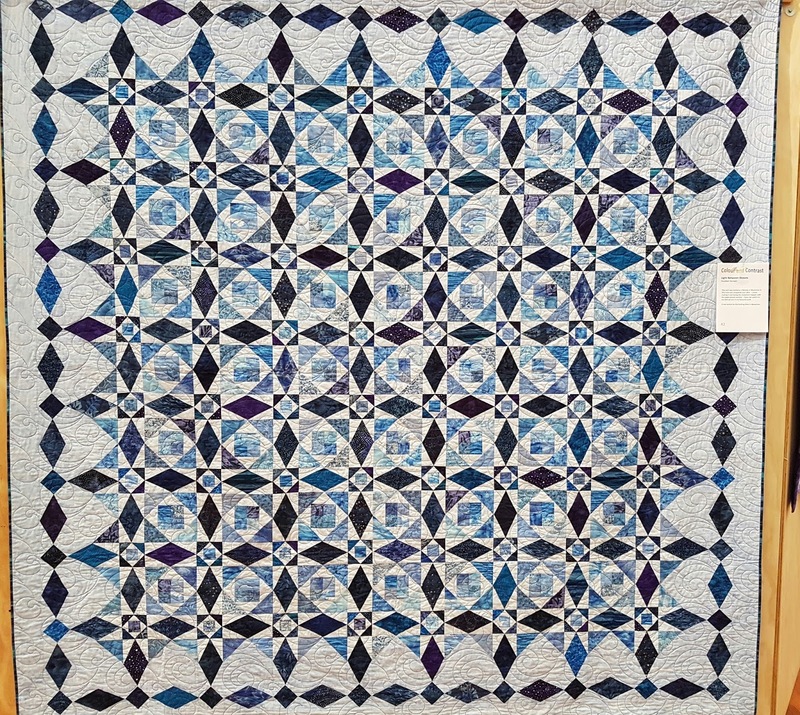 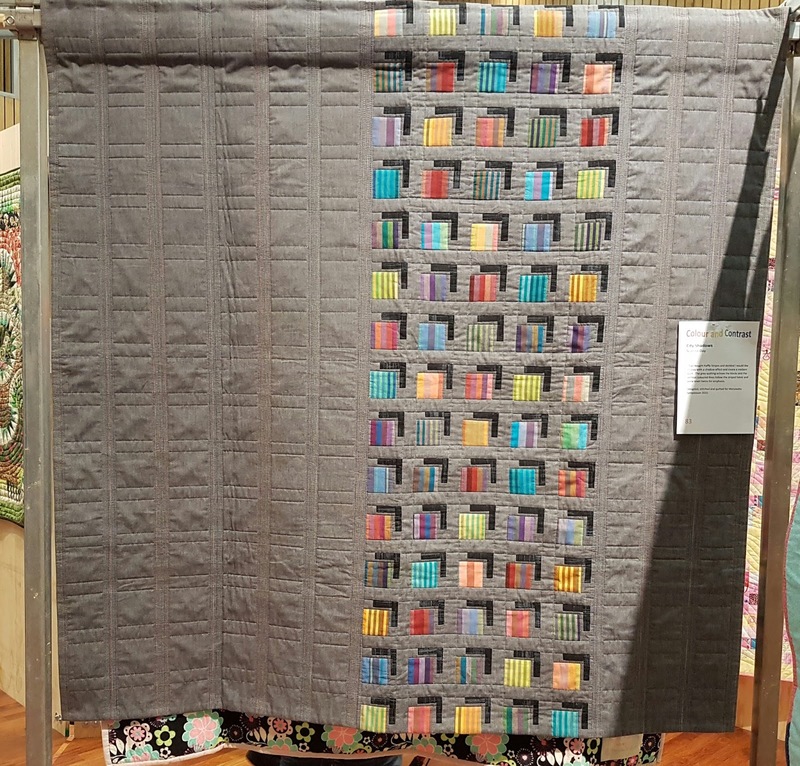 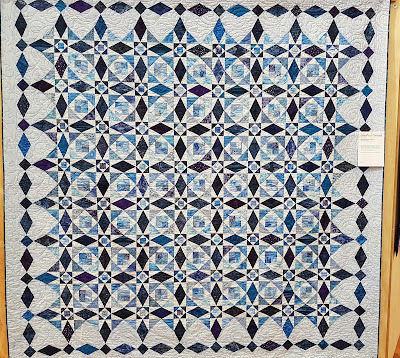 Sylvia’s Bridal Sampler is a 140 block sampler quilt quilt made by the characters in a novel, The Master Quilter, the sixth in the Elm Creek Quilts series by Jennifer Chiaverini. 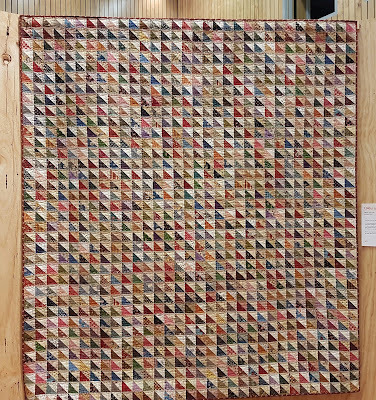 You'll have to scroll in to see the detail. 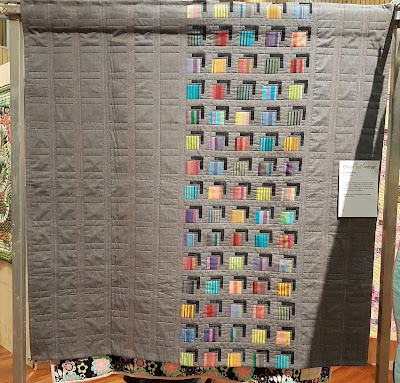 Close up of City Shadows. 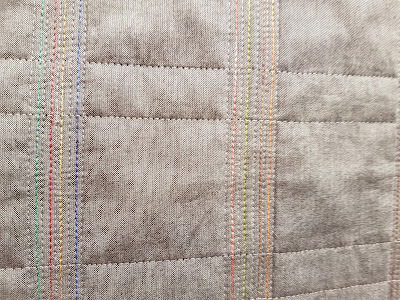 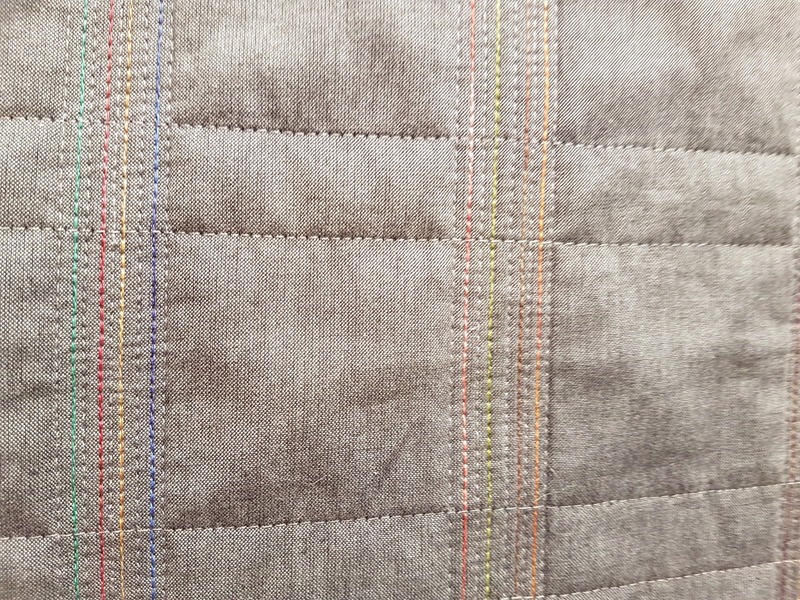 Use of colour in the quilting thread. 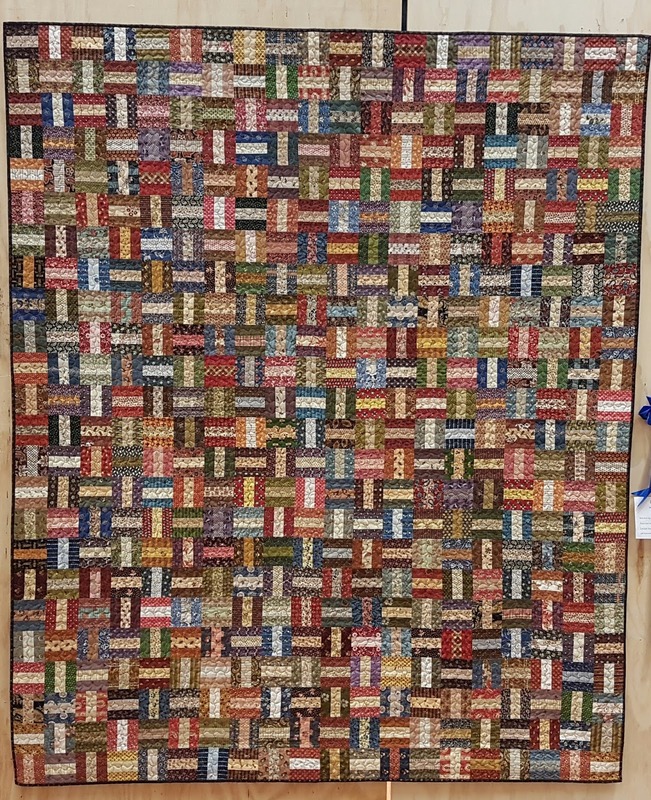 To close of this post. 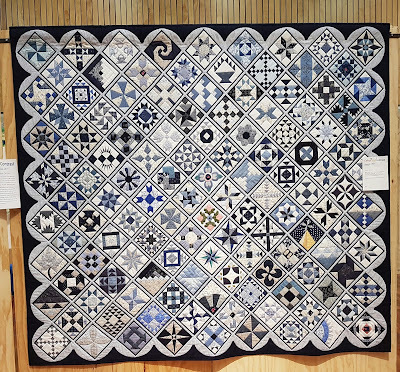 Here are a couple of quilts made by Pauline Cave. 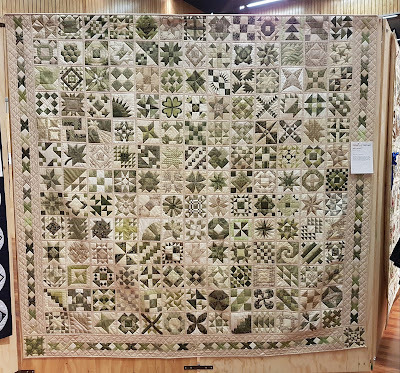 Pauline is known for and tutors around New Zealand teaching her "scrappy" or scrap bag quilts. 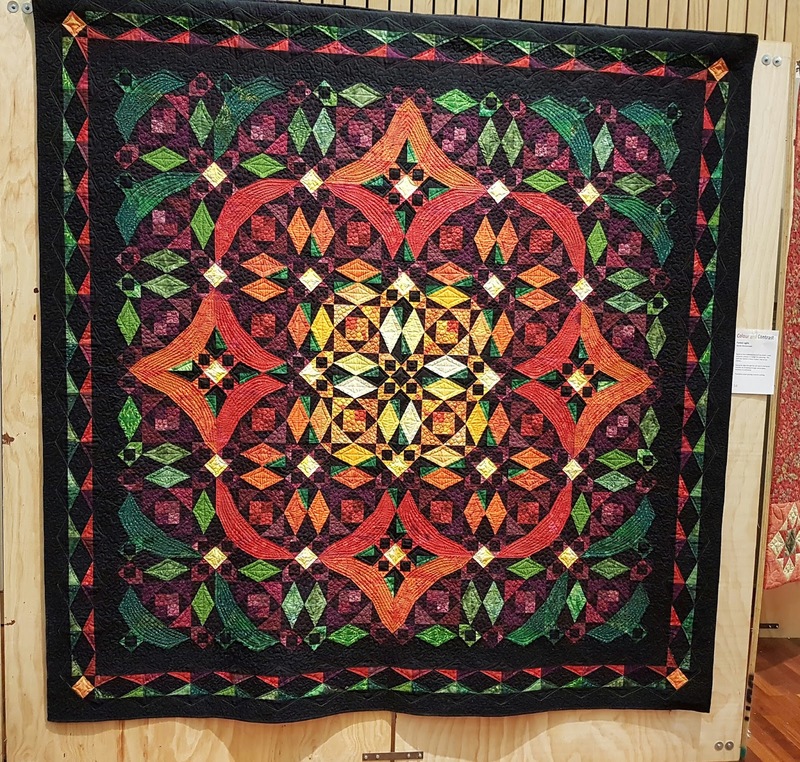 Her piecing and finishing is stunning. 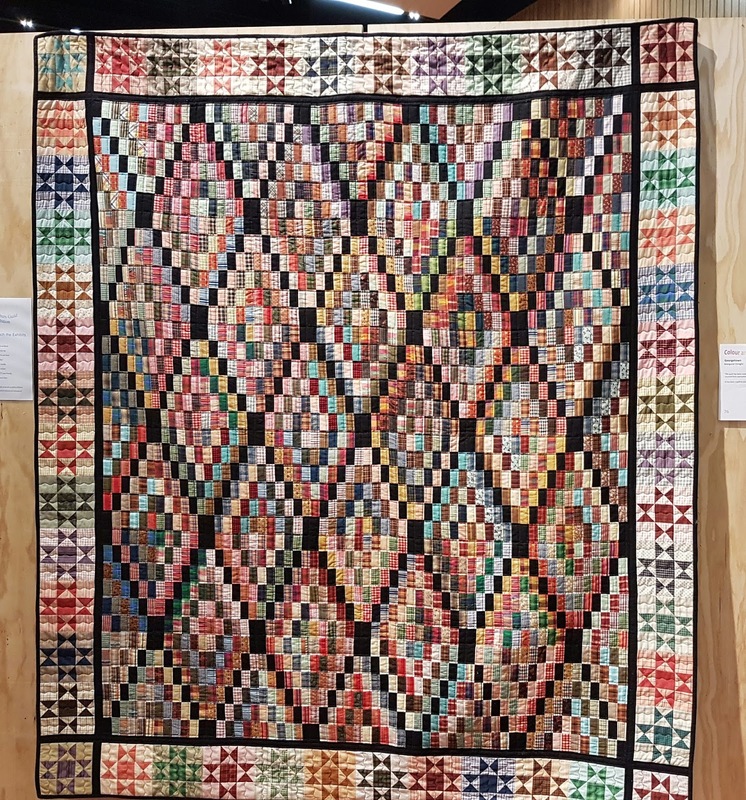 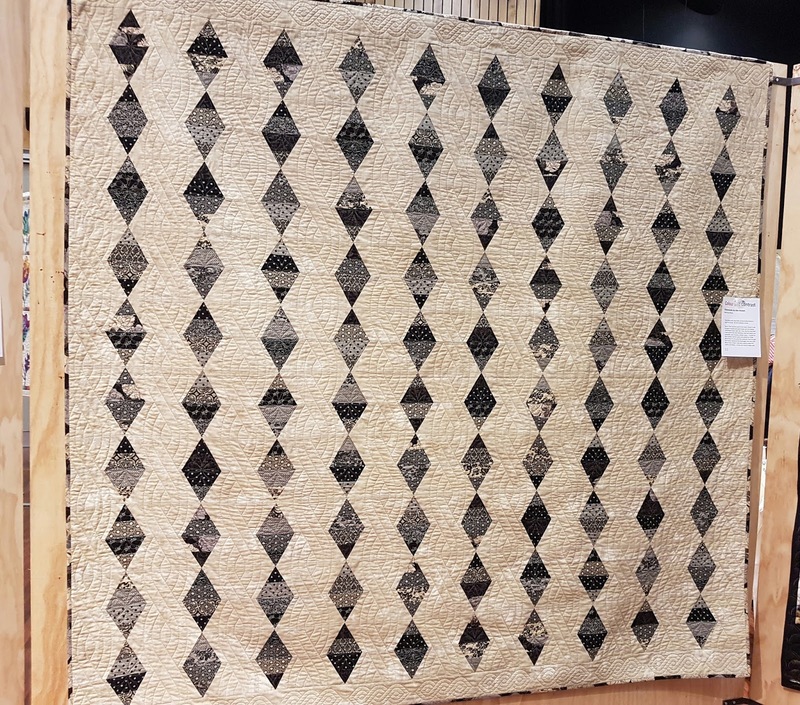 Thank you for taking the time to view this quilts from Wairarapa Quilters. 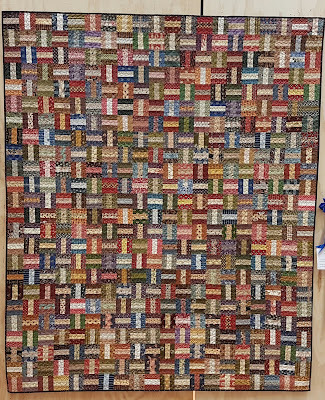 Far out clearly the pace of life over there gives everyone lots and lots of time to work on exquisitely detailed quilts!